And one day it came upon another piece that seemed to be just right. 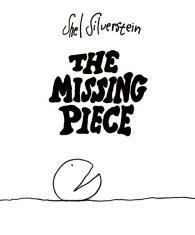 "Are you anybody else's missing piece?" "Well, maybe you want to be your own piece?" "I can be someone's and still be mine." "Well, maybe you don't want to be mine." I am not your missing piece. I am my own piece. I don’t think I’d be yours. I can be someone's and still be mine.